* Award winning communities are highlighted with an asterisk. Built in 1993, Bridgewater Estates is a community of 175 two and three bedroom townhomes and 85 single family homes located in Aston, Delaware County, PA. In 1993, the Home Builders Association of Chester & Delaware Counties awarded Bridgewater Estates numerous Pyramid awards including Single Family Community of the Year (under $250,000), Multi-Family Community of the Year (under $150,000), Single Family Home of the Year (under 2,800 sq. ft.) - Hamilton Model, and Multi-Family Home of the Year (under 1,600 sq. ft.) - Ascot Model. Francis Iacobucci built this community while President and Owner of Iacobucci Homes, a privately owned family business. 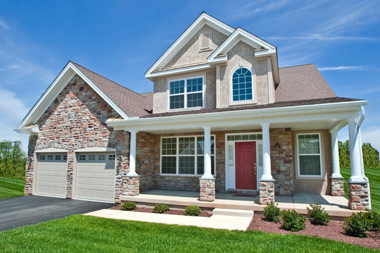 Built in 2003, Estates at Broad Run is a community consisting of 29 luxury single family homes. 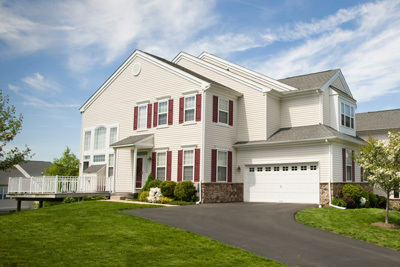 Estates at Broad Run is located in West Bradford Township, Chester County, PA. 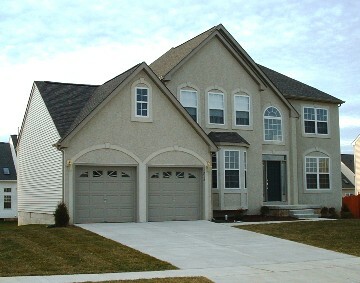 In 2006, the Home Builders Association of Chester & Delaware Counties awarded The Estates at Broad Run the award for the Best Single Family Home of the Year over 4,500 sq. ft. (under $1.5 million) for its Berwyn Model. 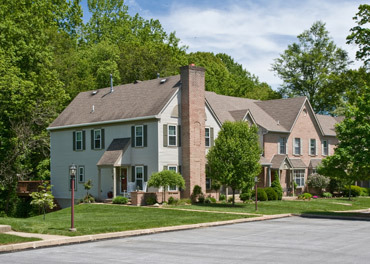 Estates at Broad Run was built by Baker Residential of PA., LLC (privately owned regional builder) while Francis Iacobucci was Division President. Built in 1986, Cambridge Square is a community consisting of 240 townhomes with two or three bedrooms and one and one half baths. Cambridge Square is located in Brookhaven, Delaware County, PA. Built in 1996, Charlestown Oaks is a community of 288 two and three bedroom luxury townhomes surrounded by 89 acres of fully wooded open space located in Charlestown Township, Chester County, PA. In 2000-2001, the Home Builders Association of Chester & Delaware Counties awarded Charlestown Oaks numerous Pyramid awards including Multi-Family Community of the Year $150,000-$300,000 (2001), Best Multi-Family Home 1,900-2,500 sq. ft. - Copley Model (2001), Multi-Family Home of the Year - Copley Model (2000). The community also won best Interior Merchandising Multi-Family $150,000-$250,000, Copley Model in 2000. Charlestown Oaks was built by The Fortress Group, Inc., a publicly traded company, while Francis Iacobucci was Division Manager. Built in 2004, The Reserve at Chesterfield is a community consisting of 49 luxury townhomes. 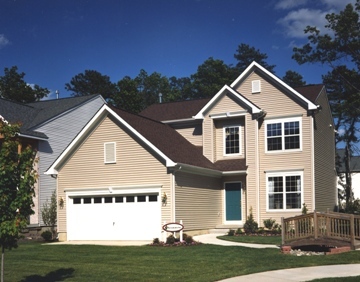 The Reserve at Chesterfield is located in Westtown Township, Chester County, PA. The Reserve at Chesterfield was built by Baker Residential of PA., LLC (privately owned regional builder) while Francis Iacobucci was Division President. Built in 1994, Concord Hills was a community of 153 two and three bedroom townhomes located in Aston, Delaware County, PA. In 1994, the Home Builders Association of Chester & Delaware Counties awarded Concord Hills several Pyramid Awards. Built in 1987, Countryside Lane at Regent’s Park is a community of 26 luxury townhomes situated in the development of Regent's Park. The community is located in Jeffersonville, West Norriton Township, Montgomery County, PA. Built in 1996, Coventry Pointe is a community of 30 two and three bedroom townhomes located in North Coventry Township, Chester County, PA. This project was a joint venture with First Keystone Bank. Iacobucci Homes took over the project and completed the work started by a prior builder. Built in 1991, Cranberry Estates is a community that consisted of 509 three and four bedroom single family homes surrounded by 71 acres of open space. 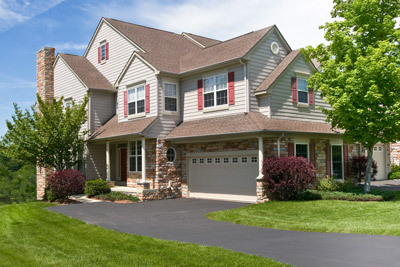 Cranberry Estates is located in Perkiomen Township, Montgomery County, PA. In 1991, the Home Builders Association of Bucks & Montgomery Counties awarded Cranberry Estates it's Pinnacle Award for Single Family Home of the Year under 2,800 sq. ft. (Victory Model). 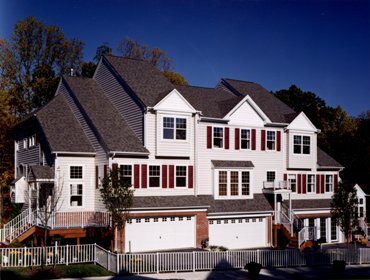 In 1990, the Home Builders Association of Bucks & Montgomery Counties awarded Cranberry Estates it's Pinnacle Award for Single Family Home of the Year under 2,800 sq. ft. (Cambridge Model). Built in 2004, Currey Mill Farm is a community consisting of 20 single family detached homes. Currey Mill Farm is located in Aston Township, Delaware County, PA.
Currey Mill Farm was built by Baker Residential of PA., LLC (privately owned regional builder) while Francis Iacobucci was Division President. Built in 1999, The Mews at Darlington Valley is a community consisting of 43 three bedroom luxury townhomes backed up to acres of preserved open space. The Mews at Darlington Valley is located in Middletown Township, Delaware County, PA. 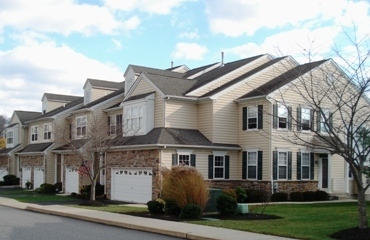 In 2002, the Home Builders Association of Chester & Delaware Counties awarded The Mews at Darlington Valley it's award for Multi-Family Community of the Year ($175,000-$300,000). The Mews at Darlington Valley was built by The Fortress Group, Inc., a publicly traded company, while Francis Iacobucci was Division Manager. Built in 2005, Elk Creek Farms is a community consisting of 98 luxury single family homes. 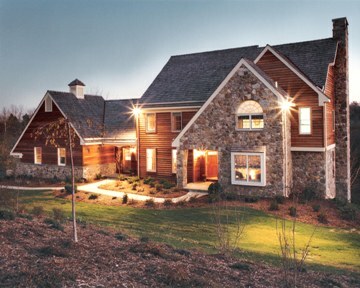 Elk Creek Farms is located in Penn Township, Chester County, PA.
Elk Creek Farms was built by Baker Residential of PA., LLC (privately owned regional builder) while Francis Iacobucci was Division President. Built in 1996, Garnet Hills is a community of 34 attached single family homes, 42 two and three bedroom townhomes, and 5 three and four bedroom single homes located in Bethel Township, Delaware County, PA. Built in 1999, Gentry Estates/Glen at Oldman's Creek is a community consisting of 24 three and four bedroom single family homes on 1 1/2 acre lots. Gentry Estates/Glen is located in Woolwich Township, Gloucester County, NJ. Gentry Estates and Glen at Oldman's Creek were built by The Fortress Group, Inc., a publicly traded company, while Francis Iacobucci was Division Manager. Built in 1996, Golf Ridge is a community of 160 two, three, and four bedroom, two story and ranch style single family homes located on the Limerick Golf Course in Limerick, Montgomery County, PA. Built in 1995, Greenbriar is a community of 57 three and four bedroom single homes on 3/4 acre lots located in Bethel Township, Delaware County, PA. In 1997, the Home Builders Association of Chester & Delaware Counties awarded Greenbriar of Garnet Valley several Pyramid awards including Single Family Community of the Year of the Year (Under $250,000) and a Merit Award for the Best Multi-Family Home of the Year under 1,600 sq. ft. Built in 2000, Green Lane Village is a community consisting of 16 three and four bedroom single family homes and 35 three and four bedroom attached single family homes. Green Lane Village is located in Westtown Township, Chester County, PA.
Green Lane Village was built by The Fortress Group, Inc., a publicly traded company, while Francis Iacobucci was Division Manager. Built in 1995, The Greens at Penn Oaks Golf Club is a community of 70 two and three bedroom luxury townhomes on the beautiful Penn Oaks golf course. The community is located in Thornbury Township, Chester County, PA. In 1998, the Home Builders Association of Chester & Delaware Counties awarded The Greens at Penn Oaks several Pyramid awards including Best Multi-Family Community of the Year (Under $190,000), and Best Multi-Family Community of the Year(Over $190,000). The Greens at Penn Oaks also won an award for Best Interior Design (Duxford Model). The Greens at Penn Oaks Gof Club was built by The Fortress Group, Inc., a publicly traded company, while Francis Iacobucci was Division Manager. Built in 1993, Harding’s Run is a community consisting of 398 two and three bedroom townhomes and ranchers located in Mays Landing, Hamilton Township, Atlantic County, NJ. In 1994, the Builders League of South Jersey awarded Somerset Village at Hardings Run it's Sam Award for Community of the Year. In addition, Sommerset Village at Hardings run won a Sam Award in 1994 for Best Interior Merchandising (Townhouse of Flat under $150,000) and Best Brochure (Attached community under $150,000). Built in 1984, Harding’s Run is a condominium development consisting of 144 townhomes and garden level homes located in Mays Landing, Hamilton Twp., Atlantic County, New Jersey. Ammenities for the community included a community swimming pool, tennis courts, and a community building. Built in 1995, Heather Lane is a community of 20 two and three bedroom townhomes located in Upper Chichester, Delaware County, PA. Built in 1995, the Hills at Bethel is a community of 107 three and four bedroom single family homes located in Bethel Township, Delaware County, PA. The Hills at Bethel was built by The Fortress Group, Inc., a publicly traded company, while Francis Iacobucci was Division Manager. Built in 2004, Indian Rock is a community consisting of 54 single family homes. Indian Rock is located in Bethel and Aston Townships, Delaware County, PA. 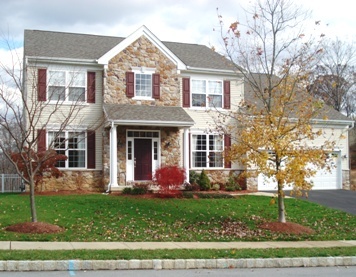 In 2006, the Home Builders Association of Chester & Delaware Counties awarded Indian Rock an award for the Best Single Family Home of the Year 3,000-3,500 sq. ft. for its Devon Model and a merit award for the Best Single Family Home of the Year 2,500-3,000 sq. ft. for its Montclair Model. Indian Rock was built by Baker Residential of PA., LLC (privately owned regional builder) while Francis Iacobucci was Division President. Built in 2005, Laughhead Lane is a community consisting of 12 luxury single family homes. Laughhead Lane is located in Bethel Township, Delaware County, PA.
Laughhead Lane was built by Baker Residential of PA., LLC (privately owned regional builder) while Francis Iacobucci was Division President. Built in 1990, Longwood Crossing is a community of 42 single family homes and 44 townhomes located in Kennett Square, Chester County, PA. In 1991, the Home Builders Association of Chester & Delaware Counties awarded Longwood Crossing it's Pyramid award for Best Multi-Family Community of the Year (Under $150,000). In addition, Longwood Crossing was recognized in 1992 for Single Family Home of the Year under 2,800 sq. ft. (Cambridge Model) and Multi-Family Home of the Year under 1,600 sq. ft. (Windsor Model). Built in 1994, The Meadows is a community consisting of 6 three and four bedroom single family homes located in Aston, Delaware County, PA. Built in 2001, Northgate at Cranberry Estates is a community consisting of 58 single family detached homes on quarter acre home sites. Northgate is located in Perkiomen Township, Montgomery County, PA.
Northgate at Cranberry Estates was built by The Fortress Group, Inc., a publicly traded company, while Francis Iacobucci was Division Manager. Built in 1986, Northridge Estates is a condominium development consisting of 544 townhomes and garden level homes located in West Norriton, Montgomery County, PA. Ammenities for this community included a community swimming pool, tennis courts, and a community building. This project was a joint venture with the adjacent apartment owner. Built in 2005, Ovations at Elk Creek is an active adult community consisting of 283 single family detached and attached homes. Elk Creek is located in Jennersville, Chester County, PA. In 2005, Ovations at Elk View received national recognition from the Senior Housing Council of the National Association of Home Builders when it was named the Gold Award winner for the Best Midsize Active Adult Community, platinum award winner for Best Sales Center over 100 sq. ft. and silver award winner for Best Logo - Active Adult Community. In 2005, the Home Builders Association of Chester & Delaware Counties awarded Ovations at Elk Creek a Pyramid award for Single Family Community of the Year from $300,000-$400,000. In 2007, the Home Builders Association of Chester & Delaware Counties awarded Ovations at Elk Creek a Pyramid award for Single Family Home of the Year (Under 2,500 sq. ft.) for its Aria Model. Ovations also won an award for Best Interior Merchandising Single Family Home Under 3,000-3,500 sq. ft. for its Seranade Model. Ovations at Elk Creek was built by Baker Residential of PA., LLC (privately owned regional builder) while Francis Iacobucci was Division President. Built in 1987, Pine Knoll at Regent’s Park is a community consisting of 175 townhomes with two or three bedrooms and one and one half baths, located in Jeffersonville, West Norriton Twp., Montgomery County, PA. Built in 2006, Glen at Providence Hill is a community consisting of 85 townhomes. Glen at Providence Hill is located in East Fallowfield Township, Chester County, PA. In 2007, the Home Builders Association of Chester & Delaware Counties awarded Glen at Providence Hill the award for Best Multi-Family Home of the Year from 1,500-2,000 sq. ft. for its Lukens Model. Glen at Providence Hill also won an award for Best Interior Merchandising, Multi-Family under 2,000 sq. ft., also, for its Lukens Model. Glen at Providence Hill was built by Baker Residential of PA., LLC (privately owned regional builder) while Francis Iacobucci was Division President. Built in 1985, Regent’s Park is a community consisting of 119 townhomes with two or three bedrooms and one and one half baths. Regent's Park is located in Jeffersonville, West Norriton Twp., Montgomery County, PA. Built in 2004, Sarum Farm is a community consisting of 9 luxury single family homes. Sarum Farm is located in Bethel Township, Delaware County, PA.
Sarum Farm was built by Baker Residential of PA., LLC (privately owned regional builder) while Francis Iacobucci was Division President. Built in 1995, Somerset is a community of 117 two and three bedroom townhomes and ranchers located in Upper Chichester, Delaware County, PA. Built in 1995, Springton is a community of 46 three and four bedroom single family homes located in Upper Chichester, Delaware County, PA. Built in 1994, Tryens Run is a community consisting of 29 three and four bedroom single family homes located in Aston, Delaware County, PA. Built in 1995, Victoria Crossing is a 436 unit mixed residential community consisting of single family detached homes, twins, and townhomes. Victoria Crossing is located in Hamilton Township, Atlantic County, NJ. Victoria Crossing was built by The Fortress Group, Inc., a publicly traded company, while Francis Iacobucci was Division Manager. Built in 2007, Victoria Estates is a community consisting of 98 single family homes. Victoria Estates is located in Egg Harbor, Atlantic County, NJ. Victoria Estates was built by Baker Residential of PA., LLC (privately owned regional builder) while Francis Iacobucci was Division President. Built in 2006, Victoria Pointe is a community consisting of 281 single family detached and attached homes. Victoria Pointe is located in Mays Landing, Atlantic County, NJ. 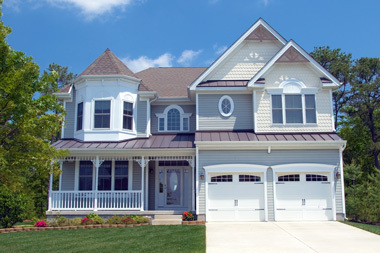 In 2009, the Builders League of South Jersey awarded Victoria Pointe Sam Awards for Best Attached Home for a Community with an Average Base Sales Price Under $400,000 for its Margate Model and Best Single Family Detached Home with an Average Base Sales Price Under $500,000 for its Whimbrel Model. Victoria Pointe was built by Baker Residential of PA., LLC (privately owned regional builder) while Francis Iacobucci was Division President. Built in 1989, Victoria Woods at Cambridge Square is a community of 64 townhomes with two or three bedrooms and one and one half baths, located in Brookhaven, Delaware County, PA. Built in 1993, the Village at Cranberry Estates is a community that consisting of 111 two and three bedroom townhomes located in Perkiomen Township, Montgomery County, PA. Built in 1986, at the current time The Village at Harding’s Run is a community consisting of 176 townhomes and garden level homes in a condominium development. Amenities include a community swimming pool, tennis courts, and a community building. The Village at Harding's run is located in Mays Landing, Hamilton Twp., Atlantic County, New Jersey. Built in 1998, Weatherby is a community consisting of 150 three and four bedroom single family homes located in Woolwich Township, Gloucester County, NJ. Weatherby was built by The Fortress Group, Inc., a publicly traded company, while Francis Iacobucci was Division Manager. Built in 1999, Whiteland Hills is a community consisting of 29 three bedroom luxury townhouses located in West Whiteland Township, Chester County, PA. 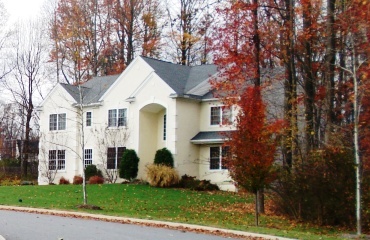 In 2005, the Home Builders Association of Chester & Delaware Counties awarded The Reserve at Whiteland Hills it's award for Best Multi-Family Home of the Year from $250,000-$300,000. Whiteland Hills and The Reserve at Whiteland Hills were built by The Fortress Group, Inc., a publicly traded company, while Francis Iacobucci was Division Manager. Built in 1999, Woods at Cranberry Estates is a community consisting of 58 three and four bedroom single family homes. Woods at Cranberry Estates is located in Perkiomen Township, Montgomery County, PA.
Woods at Cranberry Estates was built by The Fortress Group, Inc., a publicly traded company, while Francis Iacobucci was Division Manager. Copyright © 2011-2014 Francis Iacobucci Properties, LLC. All Rights Reserved.